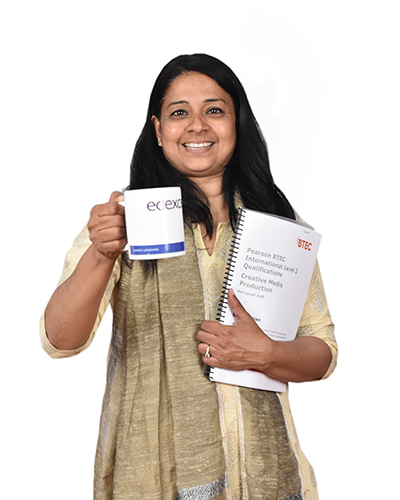 Meenakshi Ganeriwala is the BTEC and IBCP Coordinator. She led the UK and India Education Research Initiative. She is also teaches ITGS in the IB Diploma Program and handles the PR department. She has 27 years of experience, 15 years in eminent education Institutions like L.D. College Of Engineering, Government Polytechnic and IIMA. 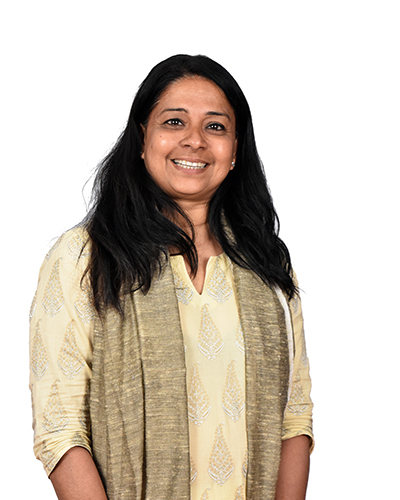 She has corporate experience holding senior positions in AceInfo way, IT Manager at IIMA (India), Management Analyst at Dell Inc. (USA), Senior Developer at AT&T (USA) and lecturer at LDCE & Government Polytechnic. She is a certified Six Sigma Black Belt Holder. She holds a Bachelors in Engineering and Masters in Engineering from L.D. College Of Engineering, a Diploma in Computer Science from IGNOU, and professional certifications from AT&T, DELL and ETI from USA. She is certified by British Council for Core Skills, Digital Literacy and Reflection. She has completed the Leadership Colloquium in June 2016 from National Excellence in School Leadership Initiative, Australia. She is a certified BTEC coordinator and certified IBCP coordinator. She has completed several in house Teacher’s Trainings with Dr. Pascal Chazot and Mrs. Anju Musafir. Ads for the water borne and vector borne diseases in collaboration with Ahmedabad Municipal Corporation.